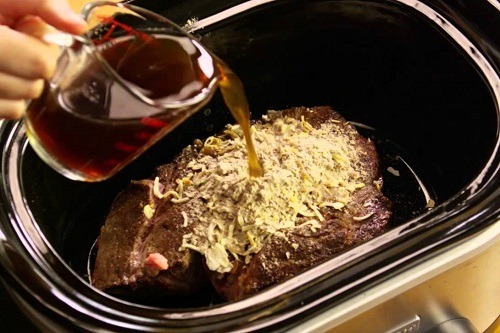 Creating the best crock pot roast recipe doesn’t need to be hard work this ingenious kitchen appliance. 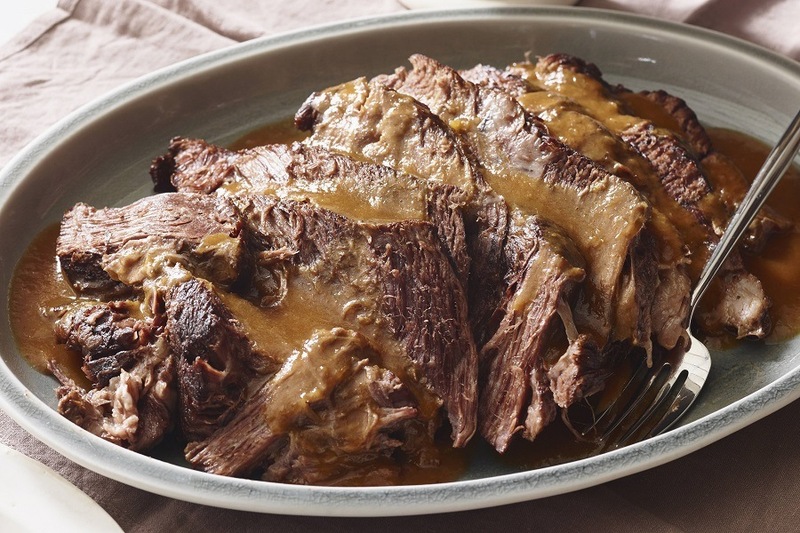 Cooking your pot roast in slow cooker will cause the meat to fall off the bone with tenderness, and bring out flavors you never thought possible. In case you didn’t believe it for yourself, there is scientific evidence to show just how slow cookers help to create the most perfectly succulent roast. When you slow cook meat in a crock pot, you’re helping to slowly melt the collagen into gelatin which makes it soft and juicy. There’s no denying that slow cooker roast is the only way to achieve this Sunday dinner favorite, and once you’ve perfect the slow cooker pot roast you’ll never go back. In addition, there are some scrumptious ideas for what to do with the leftovers the next day. This quick and easy method will give you the best crock pot roast recipe you’ve ever tasted, with the option to add or remove vegetables as you wish. Allow for about 15 minutes of preparation time and up to eight hours to heat in your slow cooker, depending on the setting you use. 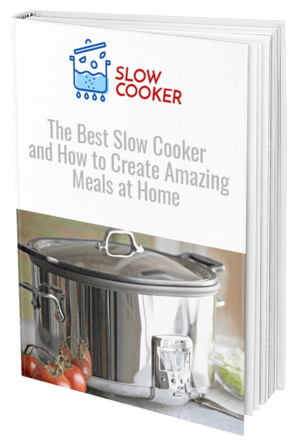 Begin by preparing your vegetables for the slow cooker. Your potatoes should be chopped into small cubes, carrots diced, and onion quartered. In a separate skillet, heat some oil and cook each side of the beef roast for a minute or two to brown. Place your beef in the center of your crockpot and carefully surround it with your vegetables. Ensure you have an even mixture and layers to aid cooking. In a bowl, mix your dry soup and broth together before pouring over the beef and vegetables. Cover your crock pot and turn onto LOW heat, letting to cook for around eight hours or until meat has tenderized. Once your pot roast is ready, you can either shred it in the pot and serve or move it onto a carving board. The vegetables should have soaked up a lot of the flavor and juices from the meat and will taste absolutely delicious eaten with it. For those who want to try something other than beef, ensure you’ve matched the weight to cooking time. A pork roast of around 7-8lbs will need to cook for 9.5 hours, where a chicken roast of 6lbs should cook for six hours on low. Allow for adequate liquid inside your crockpot too so that the meat doesn’t dry out. The best crock pot roast recipe would be nothing without some delectable side dishes to serve up. If you’re lucky enough to have more than one slow cooker in your house, you can prepare one of these gorgeous side dishes up with your favorite kitchen appliance too, courtesy of Better Homes and Gardens. If you don’t have an additional slow cooker, you can make these in advance and reheat them for later when your roast is ready. This dish is a little different to your standard potato served alongside a roast and is bursting with tons of flavor thanks to its gradual cooking process and fresh herbs. 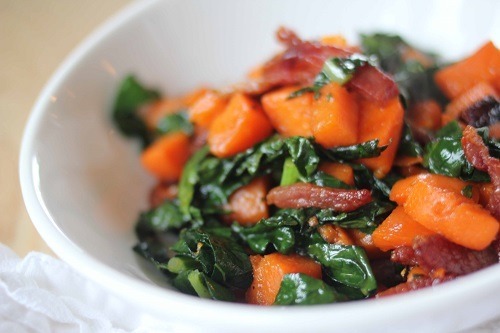 This delicious mix of sweet potatoes, concentrated orange juice, brown sugar, and bacon is the perfect sidekick to a freshly cooked pot roast. For a spin on the usual cauliflower and broccoli served with a pot roast, why not give this decadent recipe a try in your slow cooker. Cook the swiss cheese sauce along with broccoli, cauliflower, and herbs for a creamy twist on standard vegetables. Try something a little lighter and zestier with this vegetable mix, the perfect accompaniment to your Sunday roast. Essential flavors come from orange peel, white wine, and fresh herbs such as parsley. Not many families have been known to finish off an entire roast in one sitting, but you may be bored of eating the same dish the following day. Thankfully, there are some creative ways to use the leftover meat from last night’s roast that will give you an entirely different spin on things. With leftover meat, shred into fine pieces and place on a freshly toasted hamburger bun topped with cheese for a delicious next day treat. Mix warmed up leftovers with spring vegetables and al dente penne pasta for a satisfying dinner the following night. Add in peppers, onions, and tomato dressing for an authentic tasting Italian sandwich. This slow cooker pot roast recipe is ideal for turning one major meal into something so much more. With a range of stunning side dishes to transform the look and taste of your roast, you’re given endless opportunities to create something special. 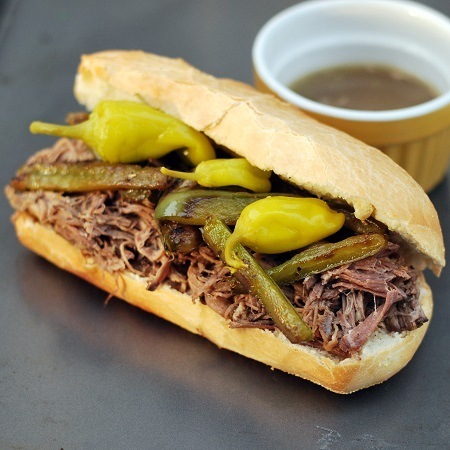 Pot roast slow cooker recipes are great because they allow the chef to put their own personal spin on things. If there are certain herbs, spices or vegetables you want to add in or omit, this is your chance to make a classic recipe your own. With a little perfecting, it will be good enough to pass down to your children one day. The following day after a hearty roast meal, why not use your leftovers to get creative again. Whether you want to make gourmet sandwiches or throw some into pasta for a unique twist, this is the one meal that will keep on giving.